Our modern fishtail gown with elements of a fit n flair. With a tasteful art deco lattice lace, married with a stunning applique lace, light beading and a horsehair layered tulle skirt, her high neck with stunning necklace feature is both supportive and comfortable. 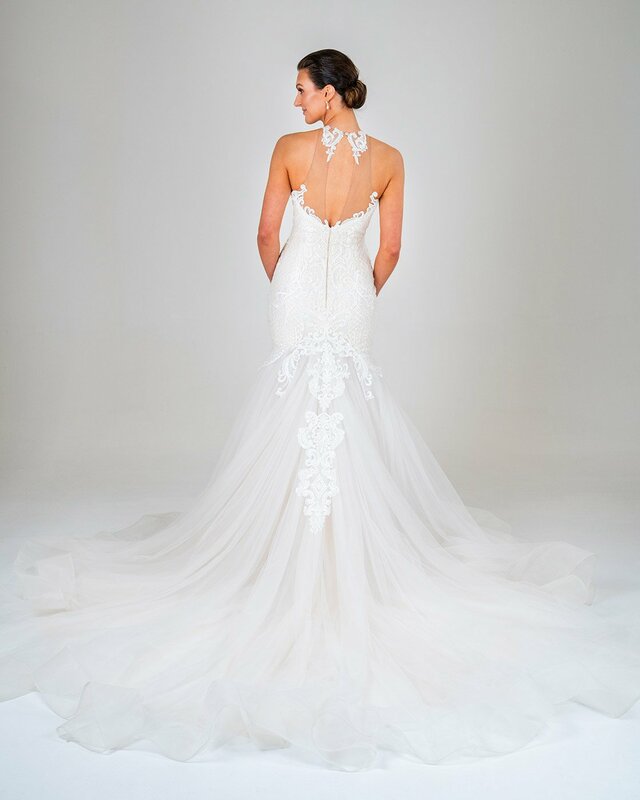 As with all our gowns any design changed can be made such as, strapless, open bust plunge, spaghetti straps, off shoulder, V neck, smaller/longer train, heavier beading, a variety of colours, full princess style skirt, A-line fit, interchangeable lace and more.